The Sailing Angels Foundation is a charitable organization, comprised of experienced volunteer sailors, based in the Greater Houston area. These volunteers donate their time and resources to serve the interests of people with special needs. We introduce sailing, in the form of recreational therapy and education, to children with physical and developmental disabilities. 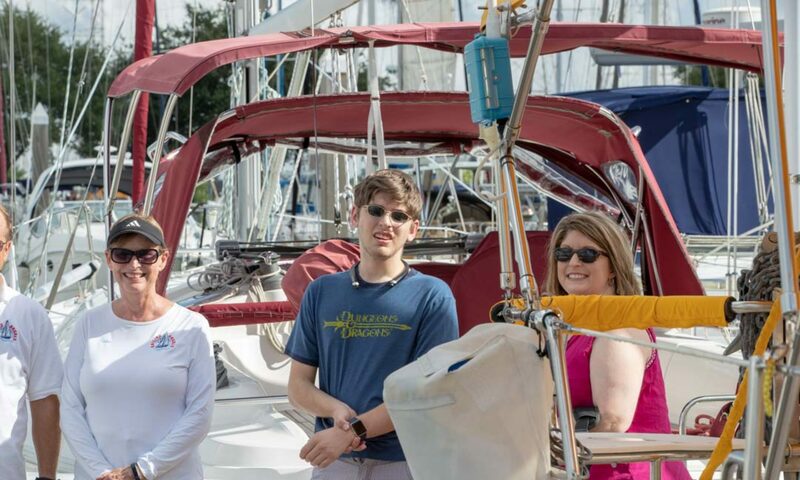 Teaching sailing to our special needs children has proven to be an exhilarating experience, yet calming, tranquil and highly rewarding…for the children, their parent(s)/caregiver(s) as well as those of us who serve them. Although our primary focus has been to provide this unique nautical “hydro-therapy” experience to those children & young adults with special needs, we have expanded our scope to include special needs adults as well as those who have gallantly served and sacrificed so much in our behalf: our Wounded Warriors and their families. We Sailing Angels welcome these special men & women with open arms! Our volunteers have been conducting this type of opportunity in this area for almost 10 years. During that period, we have serviced more than 13,000 children and adults, and we are extremely proud of our perfect (100%) Safety Record. We do not charge for this service, but instead, rely upon (and are most appreciative of) donations. Here is a link to our Directors and Vessels.